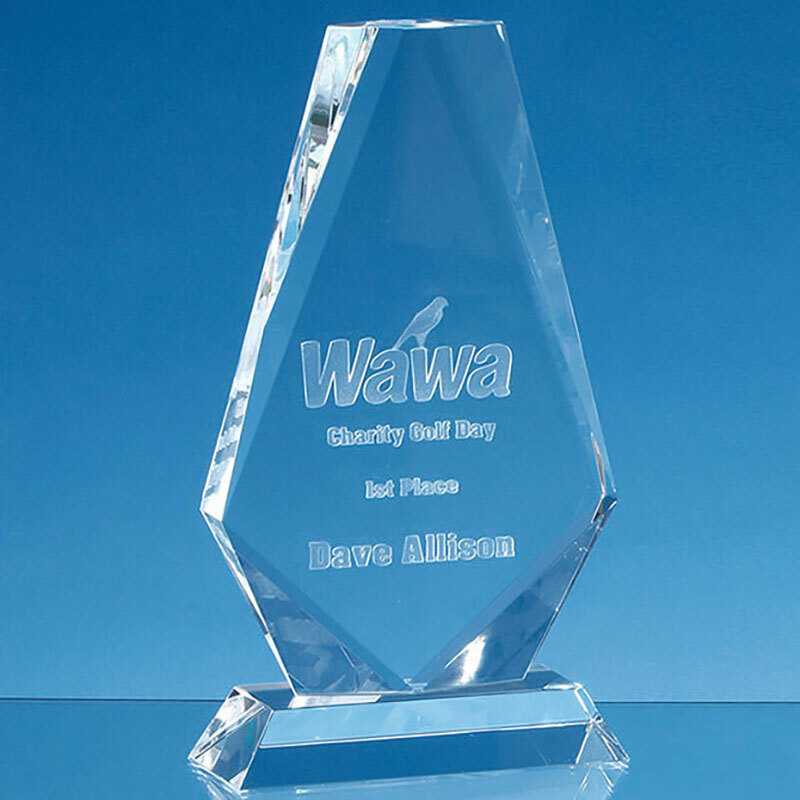 Iceberg award with cropped flat top and bevelled edges, crafted in 60mm thick flawless optical crystal. These 250mm (9.75in) tall trophies can be engraved and/or colour printed on the flat front. Dimensions: Height 250mm (9.75in), Width 140mm (5.5in), Depth 60mm (2.25in). Weight 1.8kg.